Actress Janhvi Kapoor made her debut in the Sairat remake Dhadak opposite Ishaan Khatter this year in July. After the film's success she went on to sign Takht, the multi-starrer which is being backed by Karan Johar's Dharma Productions. New reports in the Mumbai Mirror state that Kapoor has been roped in for yet another Dharma project which will narrate the story of one of India's first female combat aviators. 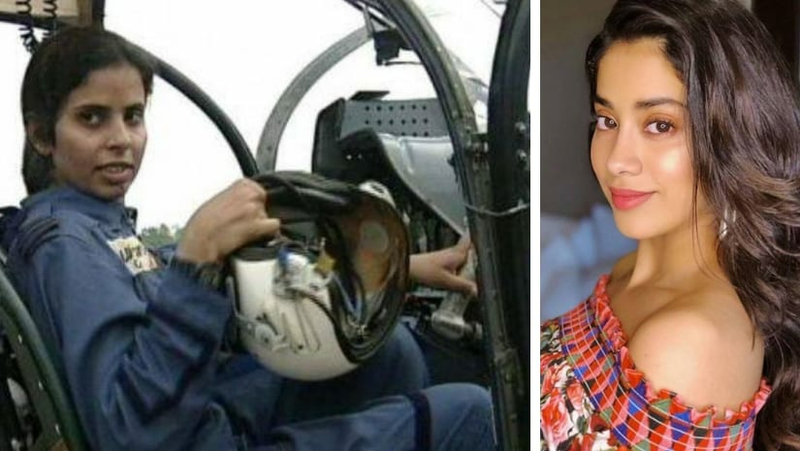 Kapoor will portray Gunjan Saxena, the first female pilot to be posted in Kargil during the 1999 war. A source close to the film stated that Janhvi met Saxena and had a first hand experience of the pilot's mannerisms. Kapoor's encounter with Saxena also aided the actress in understanding Saxena's narrative. The report also added that the yet untitled project was set to go on the floors in 2019. The director for the film is still to be finalised. Saxena along with her colleague Srividya Rajan, were part of the first female batch of 25 Indian Air Force trainee pilots in 1994. During the 1999 war, Flight Lieutenant Saxena and Flight Lieutenant Srividya Rajan were called on duty to Kargil. Their responsibilities included carrying out medical evacuations, dropping supplies and identifying Pakistani positions on the war zone. They flew small Cheetah helicopters and were completely defenceless and unarmed while traversing enemy territories. Her remarkable contribution during the war earned her a Shaurya Vir, a gallantry honour for valour, courageous action or self-sacrifice while not engaged in direct enemy combat. She was the first woman to have received the honour from the army.